Stomatitis is a type of infection which affects the mucous membrane of the mouth (the skin coverings on the inside of the mouth). In simple terms, it is the inflammation and soreness in the mouth which can affect any part of the mouth. Canker sores: these can develop singly or multiple at a time, are white or yellow sores with a red lining. It is the most common type of stomatitis. These heal on their own in about two weeks time but can last for long in some extreme cases. Cold sores: these are relatively small, painful, and liquid-filled sores. These are very contagious, often associated with herpes, and heal in about a week. But these often keep recurring and may need special treatment. 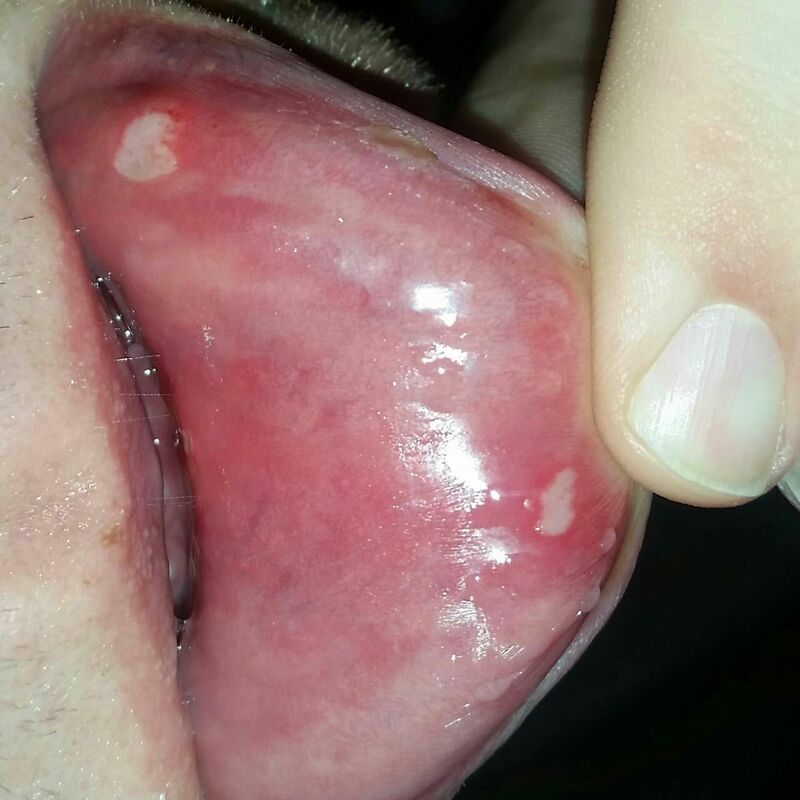 Mouth ulcers which have a white or yellow layers and a red base. It can occur inside the lips, cheek, or tongue. Red patches inside the mouth which cause pain. Swelling and blisters in the mouth. A stinging and burning sensation in the mouth. Trauma caused due to badly fitted dentures or braces which continuously bite the inside of tongue or cheek. Conditions associated with dryness of mouth (xerostomia). Consumption of tobacco (both chewing and smoking). Certain diseases like Crohn’s and sexually transmitted diseases. If caused due to allergy, steps are taken to eliminate the allergy. If caused by infection, the medication and treatment depend on the infection. Your doctor will prescribe you the appropriate treatment for infection. Sometimes, stomatitis is the result of a disease. In such cases the effort is to eliminate the disease.